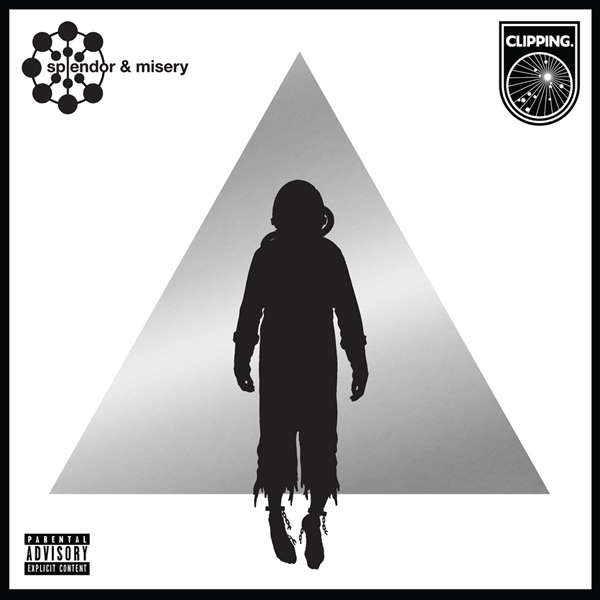 Clipping just shared a darkly surreal, post-apocalyptic short film - directed by Patrick Kennelly (“Body & Blood”) - inspired by their current and critically acclaimed album, Splendor & Misery [get it here]. The 405 had this to say of the film (and album), “Early this past fall, L.A. rap deconstructionist trio, Clipping delivered their latest challenging experimental full-length album. It was billed as a thematic release that “follows the sole survivor of a slave uprising on an interstellar cargo ship, and the on-board computer that falls in love with him.” On top of the technical rap reflections that make up the album, the trio are supporting their intriguing narrative with a short film of the same name, that brings the album’s unearthly concepts to life. Director, Patrick Kennelly helped piece together the surreal post-apocalyptic drama that’s equal parts fascinating and equal parts difficult to watch (see premiere December 13th). The band recently appeared on Conan and delivered a stellar performance of “Air ‘Em Out [see here].” And you can/should also watch Clipping’s official video “Shooter,” from Wriggle, the group’s summer EP, directed by Carlos Lopez Estrada [see here]. Splendor & Misery is available now on CD/LP/DL/CASS worldwide from Sub Pop [here] and Deathbomb Arc [here].